Courtesy of BHHS Nevada Properties, Glenn J Vogel. One Story 3 Bed 2 Bath home in a Southern Highlands gated Community! Home below $300K in the number one voted Master Plan! Do not pass this up! The kitchen has a breakfast bar and nook ,Custom tile counter tops with pullout drawers. Main Living area has distressed wood laminate floors,High ceilings. All the bedrooms have fans. Skylight in the Master Bath creates natural lighting, organizer in walk in closet, Built in BBQ and epoxy garage floors. Please, send me more information on this property: MLS# 2069331 – $289,700 – 3681 Cherbourg Avenue, Las Vegas, NV 89141. 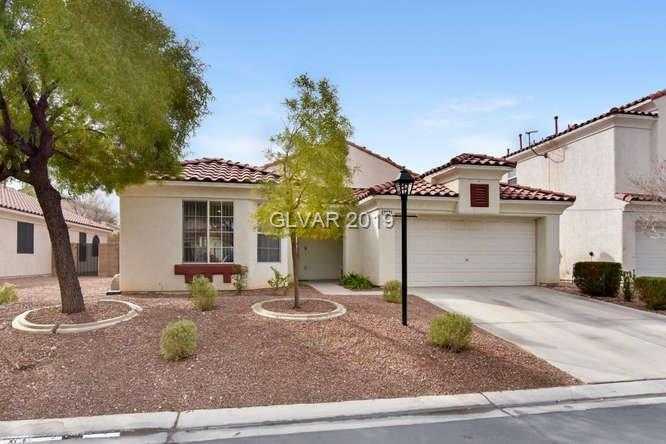 I would like to schedule a showing appointment for this property: MLS# 2069331 – $289,700 – 3681 Cherbourg Avenue, Las Vegas, NV 89141.